SSS is nothing to sneer at. Some knitters have a basket full of single socks awaiting a mate that may never come. Seriously. Because of this some knitters go to great lengths to prevent SSS. 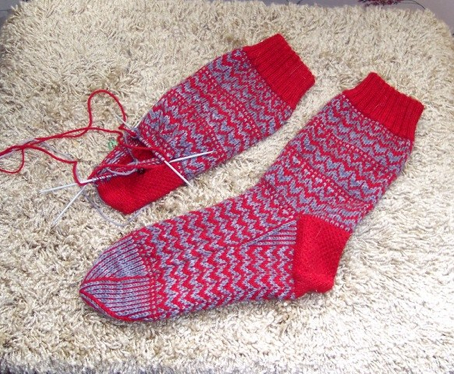 Some cast on both socks at once, on separate needles, and alternate. Others cast on and knit both socks at once on the same needles, either two circulars, a la Cat Bordhi, or one circular, a la magic loop. I will admit to doing the first more than once, but I cannot abide knitting both socks at once on the same needles. 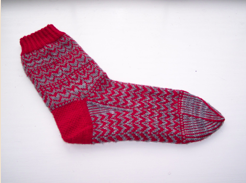 Although I sometimes knit socks using the two-circular needles technique, I tried doing two socks at once one time and hated it. I don’t use magic loop for socks, but I do use it for sweater sleeves and collars.